This dough mixing attachment attaches to the Regina Extruder and converts the hopper into a 1 lb. dough mixer. 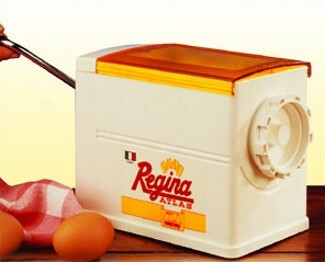 The Regina machine has 2 settings for cranking the dough that make it easier on the hand.Made in Italy. Click the button below to add the Regina Dough Kit to your wish list.